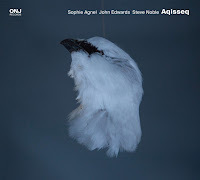 Oddly enough in a world where the vast majority of 'big' names in jazz come from New York we here on the Free Jazz blog seem to review few groups, or musicians, coming from the 'big apple'! When writing about American improvised music in the past years my I notice that there seems to be less real experimentation coming out of New York centred scene (generally). At the present, and probably since longer, it's the Chicago scene that's producing - in my humble opinion - some of the most interesting music in the states. 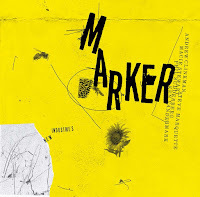 Delmark, a label from Chicago is constantly working on bringing out new music : free jazz, post rock, or other musics, and in most cases it's rarely disappointing. Fred Lonberg-Holm is one of these musicians that is part of this exciting Chicago scene and probably most notably known as part of the Vandermark 5. In this case he is part of another co-operative 'The Fast Citizens', made up from some of the newer and open-minded players on the scene. The idea of the 'Fast Citizens' is that one member takes a leading role as director for the project, although I think they all contribute compositions, and a very interesting idea it is. Until now we've had 'Aram Shelton Fast Citizens' and 'Keefe Jackson Fast Citzens' which although I haven't heard either (as yet), if they're half as good as this recent record I'll be putting them on my christmas wish list immediately! So, what about this edition, and who are these Fast Citizens? Answer : Fred Lonberg-Holm (cello), Aram Shelton (alto sax/clarinet), Keefe Jackson (tenor sax/clarinet), Josh Berman (cornet), Aaron Hatwich (bass), Frank Rosaly (drums, etc). The music these players specialize in is probably most closely related to post Ornette free-bop. 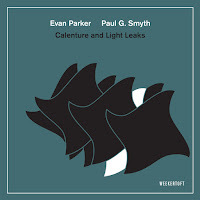 But it's also part of the whole Chicago scene style which has produced such as the Vandermark 5 and The Engines who often combine free elements, swing and melody together, crossing boundaries stylistically, unlike more abstract approaches in improvised music. The Music : Infa-Red (Tk1) sets the scene with a snaking bass clarinet solo invoking the ghost of Eric Dolphy played by Keefe Jackson, and a fast furious hard biting alto solo of Aram Shelton - somewhere between Jackie McLean and Ornette! 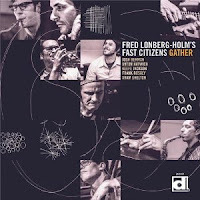 Fred Lonberg-Holm gets to play his frenetic lines over a wonderful melodic backing which releases into a trio dialogue of alto, bass clarinet and cello before bringing back the original theme. It's a great way to start, but the fun doesn't stop there It's a Tough Grid (Tk2) comes at you with a wonderful cornet/cello duo before developing a melody played by bowed cello/bass, bass clarinet, alto and cornet a wonderfully arranged piece which showcases Aaron Hatwich and Keefe Jackson and later Aram Shelton blowing hard! Much of the music on this album takes it's direction from the experiments of Grachan Moncur, Jackie McLean, Ornette, Eric Dolphy, John Carter and others from this lineage. However tunes such as Later News (Tk3), Simpler Days (Tk6) and Faster, Citizens! Kill, Kill! (Tk5) use elements of post-rock with loops and processing via Lonberg-Holm's cello effects giving the music a very modern mixture, whilst leaving space for soloists to blow over. Sometimes - as in Faster, Citizens! - one wonders if it's guitar or cello with hard strummed chords creating a chordal backing, or as a distorted melody line. Lazy Day (Tk4) is a particular stand out (for me) and the closest one gets to a ballad, featuring Aram Shelton on Bb clarinet. It starts as some modern 20th Century composition, developing into a lovely lilting improvisation. To keep you on your toes the mood changes at the end when cello and clarinet battle it out in a Mingus/Dolphy type love dance ... and then on to the final theme. Equally important to the success of this disc is the wonderful use of the doubling instruments, tenor sax/bass clarinet and alto sax/Bb clarinet, also the cornet and cello (in all it's disguises), the music takes on endless colours and combinations - solos, duos, trios etc. The melodies are strong, but never throw-away. 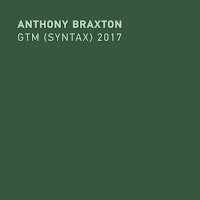 The arrangements are thought out to perfection with no notes wasted, nuances and tempos all being treated with respect, and as the album progresses each track offers up new ideas. The rhythm section shows it's perfect empathy with the music, changing moods, tempos (an amazing tempo change on Infa-Red !!!) and styles at will. I could say soooo much more, but my reviews too long already ......! A excellent release from this strong co-operative, and a record that won't disappoint. 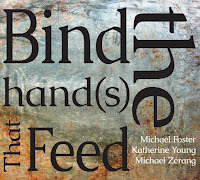 Everybody pulls punches on this record, however, there's no squeak-honk-freak outs for those more interested in chaos. It could be on my list of top records of 2012? Post note : If you look up these musicians (from the Fast Citizens) you'll notice these guys are very active and can be found playing in many different areas and groups. I can certainly recommend the 2 earlier Fast Citizens recordings, especially "Two Cities" which (IMO) is even more exciting than "Gather". Also cornetist Josh Berman's "Old Idea" and his latest release "Then Now" are well worth seeking out.